Feb. 18, 2017; 12 event times; $30. Modernism Week is more than just cocktail parties and lectures — it’s a practical place for you to pick up ideas for your own ranch renovation. Have a one-on-one meeting with one of APLD’s (Associate of Professional Landscape Designers) and work through your own landscaping needs. 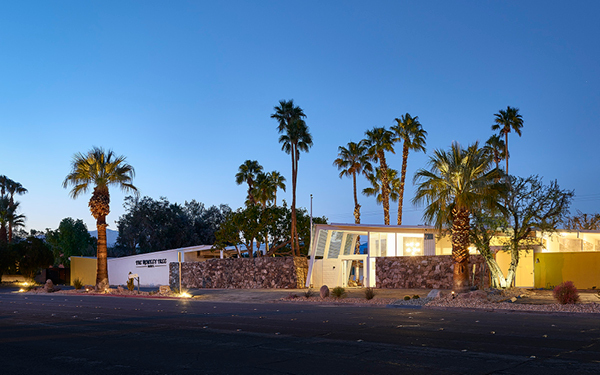 Photo courtesy of Modernism Week. Feb. 19, 2017; 2 tour times; $50.00. 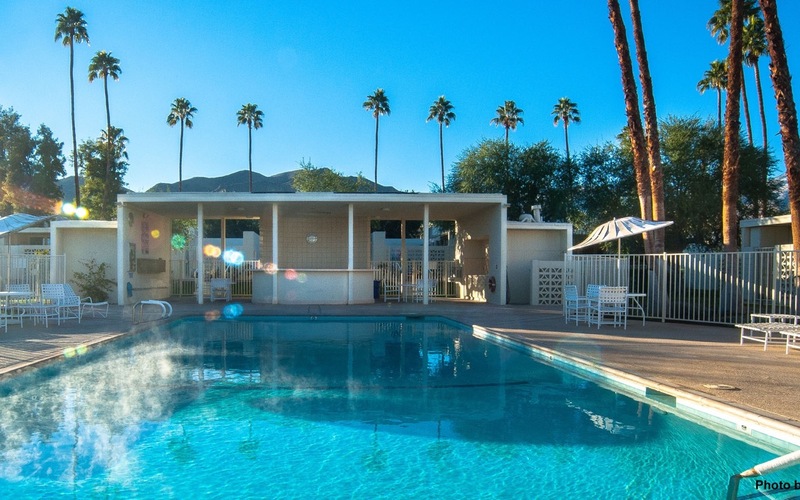 Take a tour of four distinct units of Palm Springs’ Sandcliff complex, where the concept of “owning your own apartment” was a novelty in 1964. Breezeblocks, glistening pools and defining rooflines are your guide through these beautiful units. Feb. 19, 2017; 3 tour times; $20. 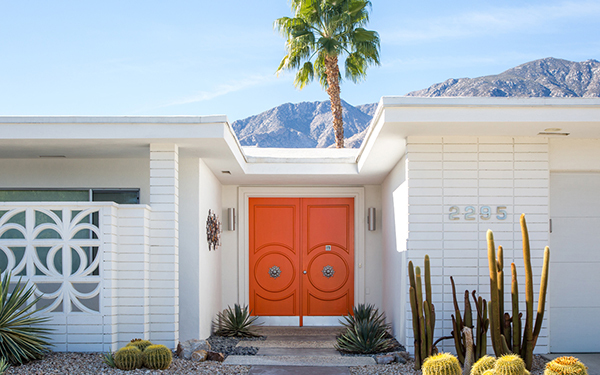 The colorful doors of Palm Springs ranches are one of its most defining design features. Join this self-guided bike tour through the Indian Canyon neighborhood and even take some photos on Instagram for a chance to win a slew of prizes. Feb. 19, 2017; 3pm – 4pm; $10 – $35. 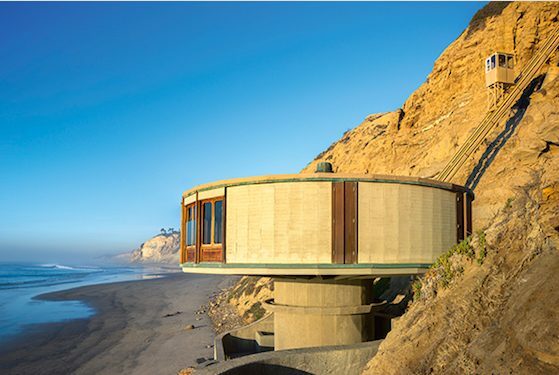 Love modernist architecture and design all across the country? You won’t want to miss this conversation with author Sam Lubell and photographer Darren Bradley as they chat with architect, author and preservationist Alan Hess, revisiting some of America’s most beautiful midcentury treasures. Feb. 19, 2017; 7pm – 10pm; $125.00. Enjoy some cocktails, appetizers and good conversation at the newly restored Hotel Lautner, designed by midcentury legend John Lautner. Meet with industry leaders, preservationists and take part in preserving other midcentury gems. Feb. 20, 2017; 4pm – 7pm; $15 – $60. 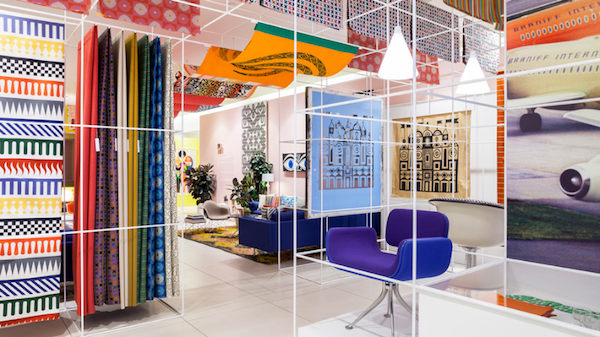 Join Herman Miller’s Global Brand Director Sam Grawe and Corporate Archivist Amy Auscherman for a comprehensive overview of Alexander Girard’s work for Herman Miller, including a conversation with grandchildren Aleishall Girard-Maxon and Kori Girard. Feb. 25, 2017; 10am – 4pm; $10 – $20. 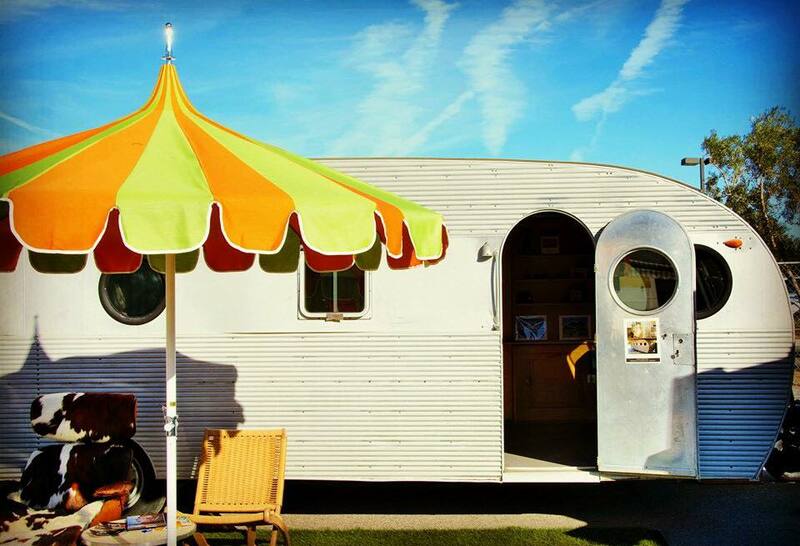 Always one of the highlights of Modernism Week, this colorful exposition of vintage trailers, buses, trailers and more is the perfect way to end your stay in Palm Springs. Enjoy chatting with owners as well as shopping at the variety of retailers on site. Feb. 25, 2017; 5pm – 11pm; $125. 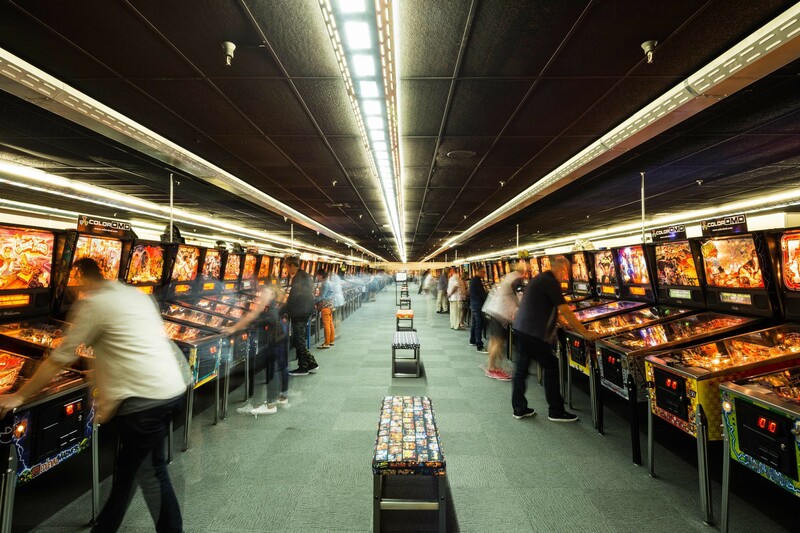 Calling all pinball wizards: Join Sailor Jerry’s and SHAG at this unique event at the Museum of Pinball, where you can try your hand at more than 700 vintage, restored pinball machines. Come for the fun and drinks, stay for the limited-edition, signed SHAG wooden postcards! Feb. 25, 2017; 5pm – 7pm; $50. Looking for a truly retro party? Look no further than this funky night at famed local spot The Monkey Tree Hotel, hosted by none other than the Ambassador of Americana himself, Charles Phoenix. Join in on the theme and come dressed in turquoise and yellow! Visiting the California desert on a budget? Here are 3 of our favorite Mod Week events that are free admission. SHAG’s New Print Release Party with Martini Kings Playing Live! Feb. 18, 2017; 6pm – 9pm. Celebrate SHAG’s latest art prints with some free drinks and live music at Josh Agle’s (SHAG) Palm Springs gallery. 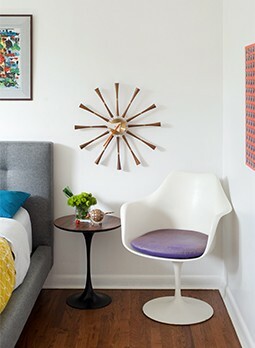 The West Elm House – Home Tour. Feb. 24, 2017; 12 tour times. 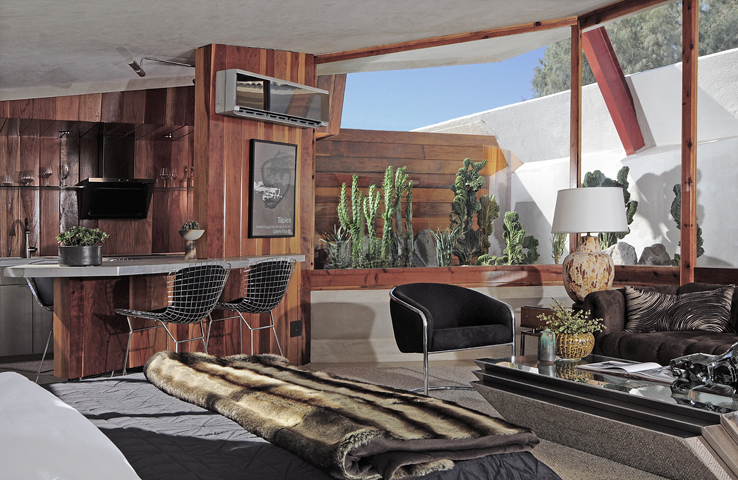 Visit this iconic Palmer & Krisel home furnished with some of West Elm’s best mid mod pieces. Modernism Yard Sale. Feb. 26, 2017; 8am – 12pm. Discover your next rare find at this carefully curated collection of vendors hosted by H3K Design.